What Are Trypsin & Chymotrypsin? The absorption of nutrients from the foods we eat requires that large molecules be broken down in much smaller units capable of being absorbed across the wall of the intestine. One step in this digestive pathway is the cleavage of large molecules by enzymes. Enzymes are special chemical molecules that help speed, or catalyze, chemical reactions which, in the digestive process, serve to break down large molecules. Trypsin and chymotrypsin are two such enzymes. Trypsin helps to break down large protein molecules by cutting protein chains at specific sites. The large protein molecule is actually a chain of smaller units called amino acids which are linked, end to end, in chains hundreds. There are 20 different amino acids from which these protein chains are made. The specific site along the protein chain where trypsin is active are those with the amino acids lysine and arginine, two of the smaller amino acids. Trypsin and chymotrypsin are excreted in the stool and the amount excreted is used to diagnose certain diseases. Low amounts of trypsin and chymotrypsin in the stool are often one of the earliest indicators of cystic fibrosis. 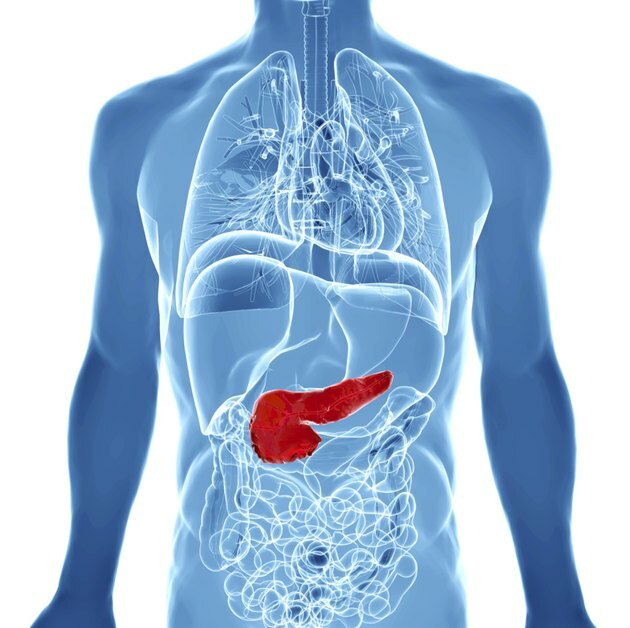 In adults, low levels of these enzymes provide evidence of pancreatic disease such a pancreatitis. In some individuals, the production of these digestive enzymes is deficient, resulting in the inability to completely digest food. This can result in abdominal pain, indigestion, gas and malnutrition. This condition is treatable with trypsin and chymotrypsin supplements. Can Too Much Protein Hurt Your Stomach? How Does Protein Digest in the Digestive System?